Find My Workspace lists over 95% of the executive office suites market in Bakersfield. Simply click Request Quote to check pricing for one office, or Add to Basket for multiple offices. This workspace, located on Eye Street, is a shared workspace, perfect for entrepreneurs and start-ups. This space offers a fantastic work environment for people who are tired of working from home or the local coffee shop and don’t want the distractions that those places can bring. The space is fully furnished with a convenient location in the heart of downtown and above one of the best coffee shops in town. 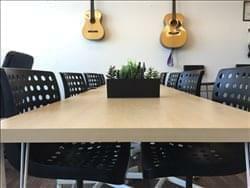 Members have access to amenities such as; pinter, copier and shredder access, a high-speed Wi-Fi connections, free coffee, tea and water, access to conference rooms and the opportunity to collaborate with fellow members of the space. 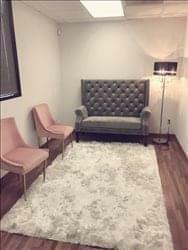 This location is a private office space that also includes a separate furnished waiting area for your guests. Utilities come standard and are already included in the monthly rental fee. This site comes equipped with secured access to provide a safe atmosphere for all. Convenient parking is available on the premises. Help your business grow, with the professional business presence that is provided by this location. This location provides two office spaces to choose from, 149 sq ft and 192 sq ft. Each location has an efficient layout that you can customized to fit your needs. 24 hour access allows you to build your business anytime, day or night.